Congress may have formed government in the state but it could fall "anytime as it lacks majority", Mr Chouhan, who is also called ''mama'' or uncle, said. 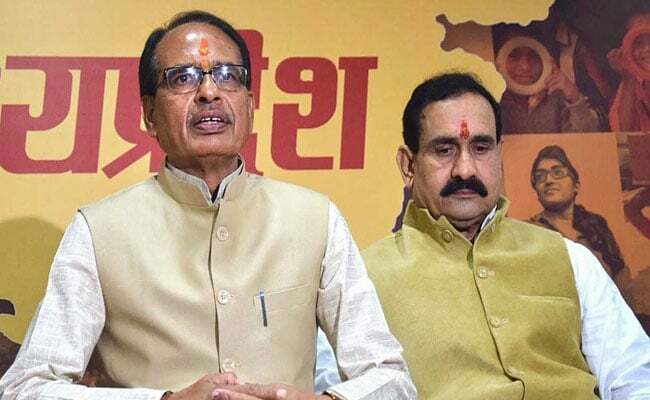 Don't think ''mama'' has become weak, former Madhya Pradesh Chief Minister Shivraj Singh Chouhan, who lost power in the recent assembly elections, said on Sunday and claimed the BJP will win at least 27 out of the 29 Lok Sabha seats in the state. Congress may have formed government in the state but it could fall "anytime as it lacks majority", Mr Chouhan, who is also called ''mama'' or uncle, said at ''Yuva Vijay Sankalp Maharally'' of Delhi BJP's Yuva Morcha. "Don't think mama has become weak. I promise you that we will win at least 27 seats, as we did in 2014, out of the 29 Lok Sabha seats, in the coming elections," said the senior BJP leader. Hitting out at Congress government in Madhya Pradesh, Mr Chouhan claimed BJP could also have formed a "lame" government too but it decided it would do so only with a grand majority. Mr Chouhan also mocked the gathering of opposition leaders at Saturday's Kolkata rally as "bhanumati ka kunaba" (marriage of convenience), saying there was no unanimity over a common leader among the parties planning the ''mahagathbandhan''. "It's like a wedding without a groom. On the other hand we have a leader in the form of Prime Minister Narendra Modi to lead us in the battle ground," he said. However, the event saw a not so whelming attendance. Delhi BJP chief Manoj Tiwari warned from the stage that it would be investigated who were the persons leaving the venue during speeches of the leaders. Delhi BJP Yuva Morcha president Sunil Yadav claimed the event was attended by over 20,000 persons. "People were coming and going but the chairs were full," he said. The Yuva Morcha had planned to torch 40-feet effigies of Congress president Rahul Gandhi and AAP chief Arvind Kejriwal but the plan was shelved in view of poor air quality in the city, Mr Yadav said. The rally was attended by many senior BJP leaders including union minister Vijay Goel who attacked Mr Kejriwal, alleging that his government in Delhi has "destroyed" the city.